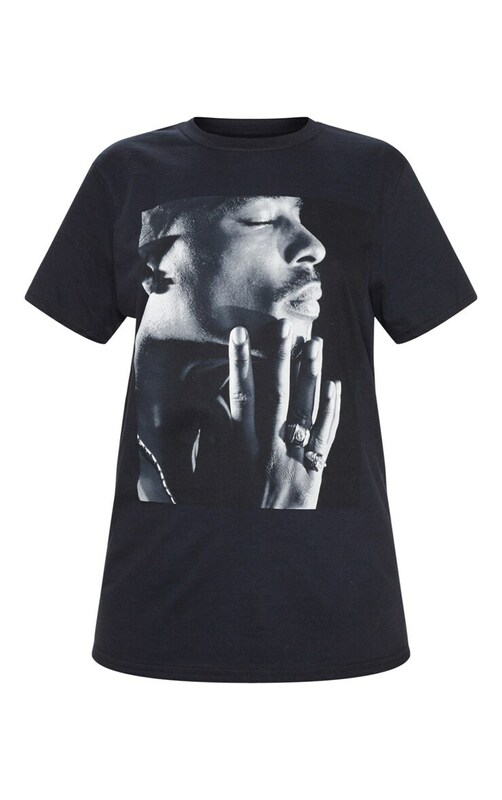 Printed tees are an ultimate wardrobe staple for any occasion. 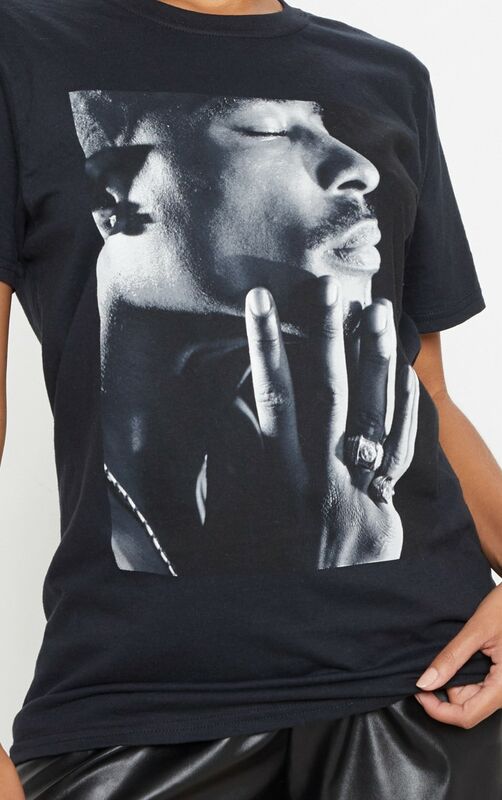 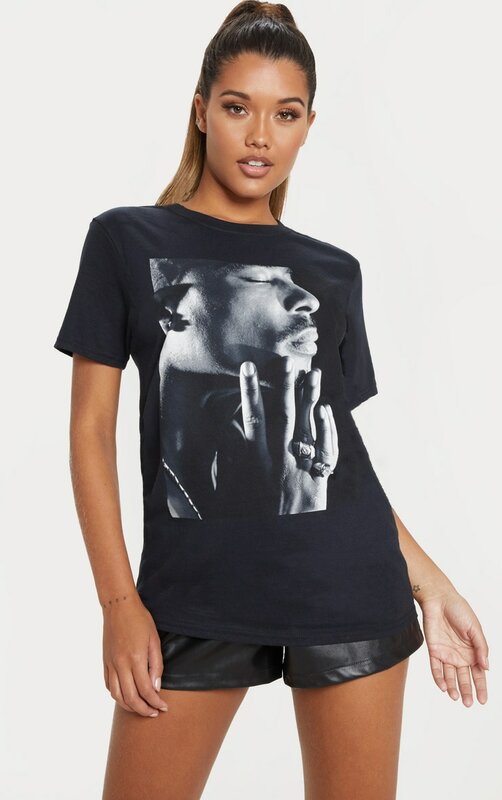 Featuring a black material with a Tupac design and a loose fit. 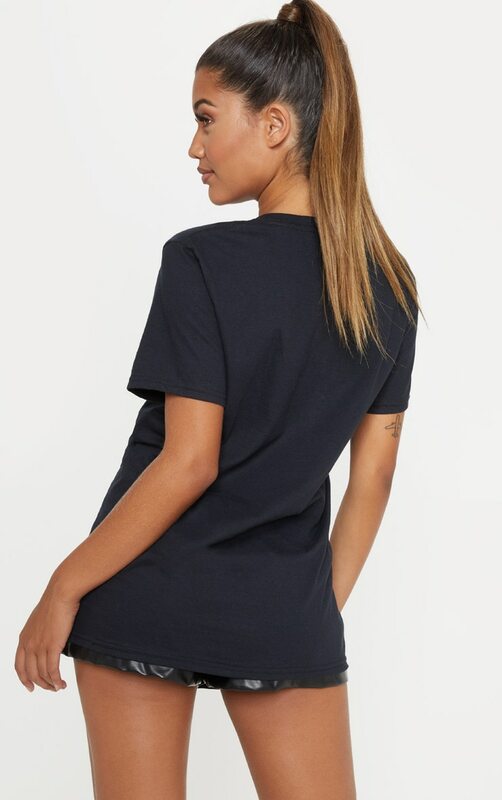 Team this with faux leather shorts and ankle boots for an off-duty look we are loving.